One of the three subsidiary companies that came into the Baker Perkins group with the acquisition of Rose Brothers (Gainsborough) Ltd. in 1961. 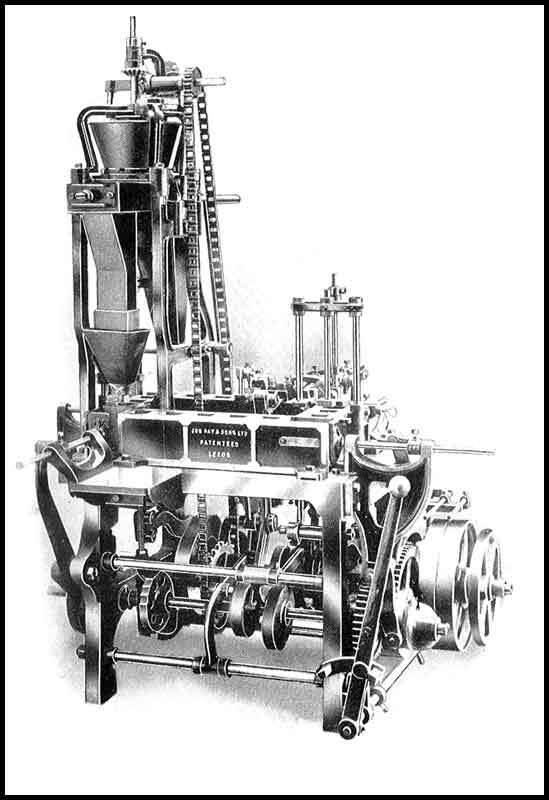 It had been bought by Rose only one year earlier and was considered to be the most prominent manufacturer in the UK of machines for packaging tea and granulated materials. With the formation of Rose Forgrove Ltd in 1967, Job Day became one of the divisions of the company, specialising in packaging machine for tea and coffee. 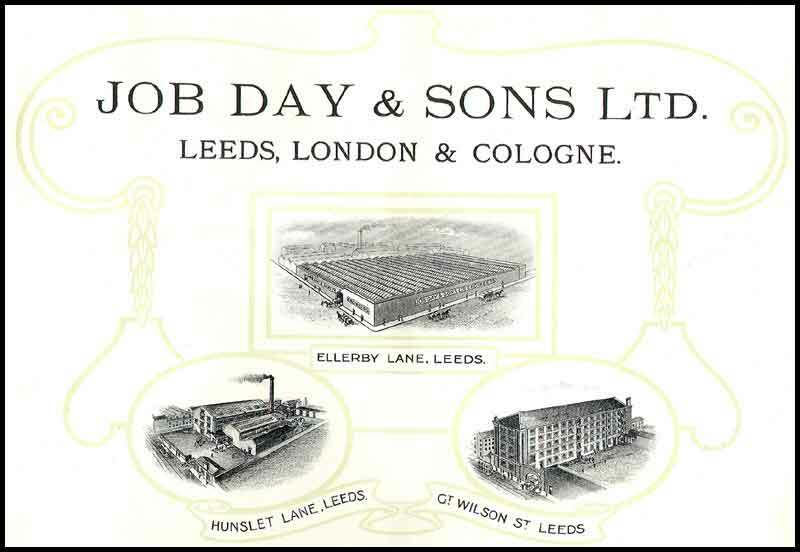 Job Day & Sons Ltd was formed in 1901, the founder having invented a machine to pack soap. 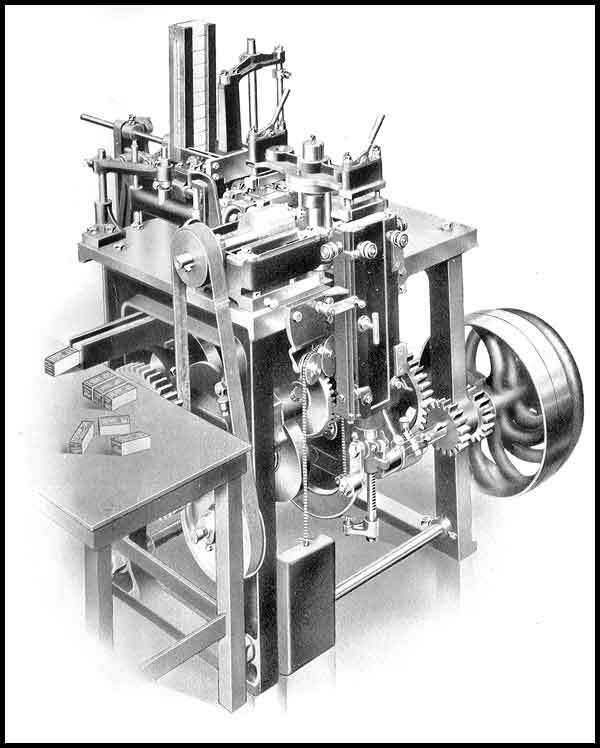 However, packaging machinery was not the only interest. 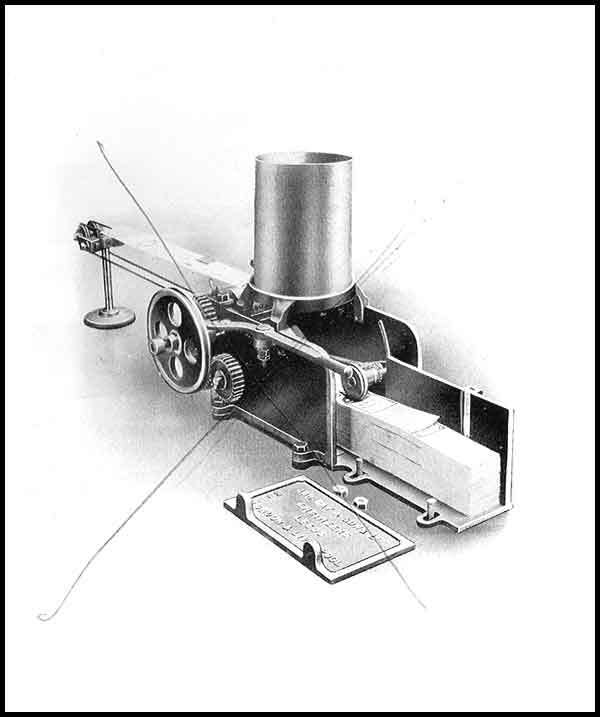 They had just made the world's first bacon slicer and were early manufacturers of motorcycles. A motorcycle engine was used when, in 1912, they produced a prototype car – the "Day Leeds". This was the brainchild of William Henry Day, the son of the founder, who foresaw the need for a small, cheap, economical car appealing to the wider buying public. The chassis was of steel tubing supporting an air-cooled twin cylinder engine. Power was transmitted through a three-speed and reverse gearbox to belts acting through pulleys on the back wheels. Steering was direct and braking was effected by blocks acting on the belt rims. There were, however, four blocks instead of the two as on most cars of the time. The Day Leeds prototype was a two-seater and the price of £120 included the hood, screen and horn. The prototype did not go into production and a later version of the "Day Leeds" was fitted with a 'proper' four cylinder, water-cooled engine. . 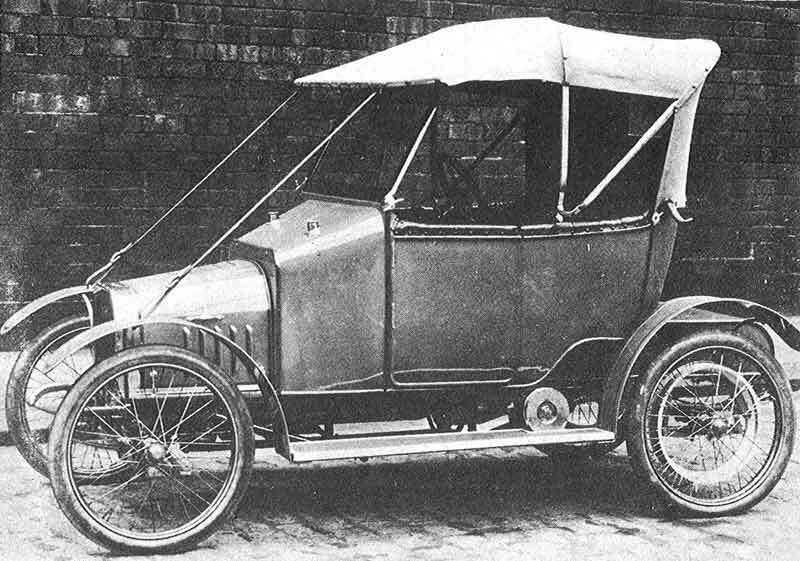 The cars final shape and specification were probably influenced to a large degree by a chief designer appointed from Armstrong Whitworth and were considered very much in advance of the car’s mid-Edwardian birth. The bodies were made by the Blackburn Aeroplane Company and it was common practice to apply 14 coats of paint to the coachwork. A 1,267 cc engine imported from Belgium was used, having a cylinder block with integral cylinder head. 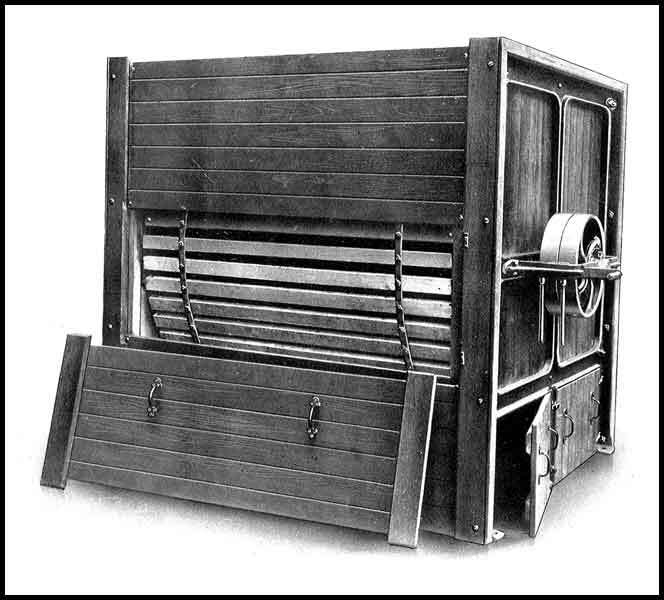 Cooling was by thermosiphon action and the suspension was by front and back semi-elliptic springs. The company devised an atomiser, rather like a brass propellor, to fit into the carburettor for fuel economy. It was rumoured that extra up-hill performance was achieved by putting camphor balls in the petrol! By 1915 over one hundred had been sold but WW1 intervened and production was put on hold for five years. By 1924 output had topped three hundred cars and business appeared to be flourishing. However, larger manufacturers were entering the market and mass production techniques were needed to stay competitive. 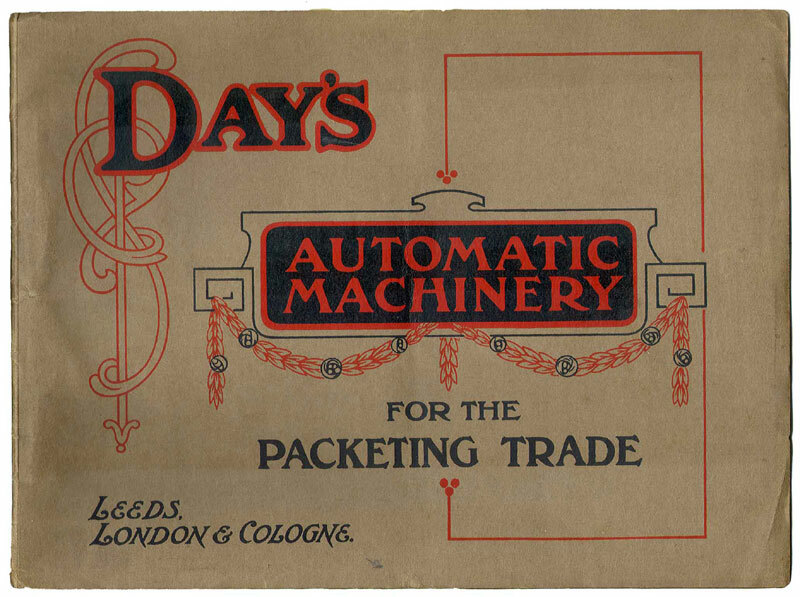 The company's resources were limited, production of cars eventually ceased and Job Day & Sons began to concentrate their efforts on the development of packaging machines. 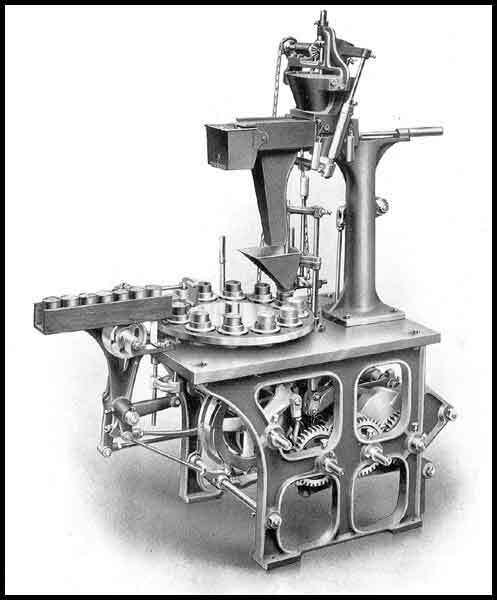 NOTE: A number of the constituent companies of the Baker Perkins Group were caught up in the motor manufacturing hysteria that permeated the engineering industry at the beginning of the 20th century. A.M. Perkins &Sons had toyed with the application of steam power to road traction in the previous century, and among the first things to be made by Werner Pfleiderer & Perkins after their move to Peterborough was the “Mercial” motor car. Rose Brothers (Gainsborough) Ltd, Job Day & Sons Ltd and Werner, Pfleiderer & Perkins Ltd had all seriously attempted to produce viable motor vehicles but had met with varying levels of success. Even Joseph Baker & Sons Ltd had taken an agency for an American built car. It is understood that, perhaps the nearest that the Group came to becoming a car giant was - according to the 1945 diary of the father of Rose Brothers’ sales manager, W.L. Fitchett – when, “Sir Herbert Austin came to the Gainsborough works with a view to taking them over. If this had taken place, Gainsborough would have become the home of the Austin car”. An early sales catalogue (no date available but definitely pre-1935) suggests that they had three factories - Ellerby Lane, Leeds; Hunslet Lane, Leeds and Great Wilson Street, Leeds. All appear to be quite substantial facilities. 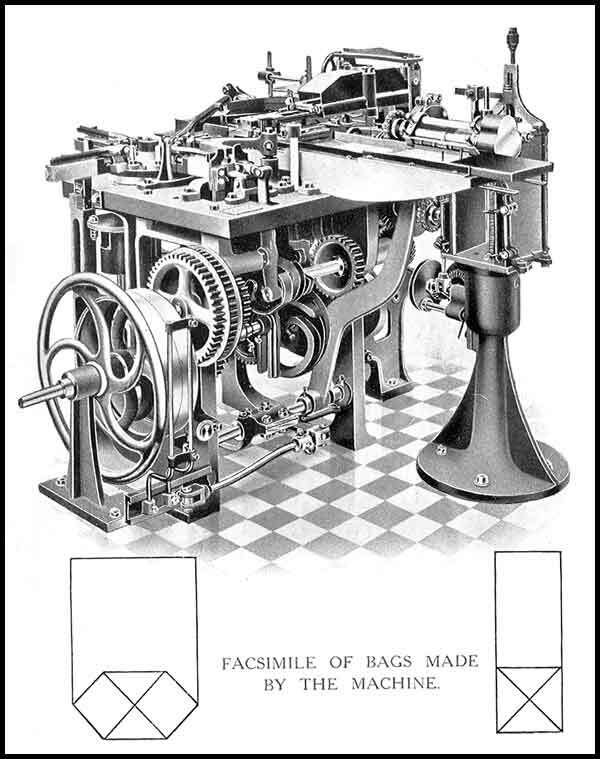 Automatic combined bag-making, packeting and labelling m/c. Combined packeting and measuring m/c for powders and granular substances. Canister filling and labelling m/c. Automatic pasting and gluing m/c. The company moved into premises at the Beeston Royds Works in Leeds in 1935 and remained there until 1970 when Leeds Corporation required the area for a road improvement scheme. The works were demolished and the business moved to the Rose, Gainsborough factory, 28,000 square feet of space being allocated to house the Job Day division when Gainsborough was re-organised and expanded in 1970. In 1966, Job Day were instrumental in breaking the habit of thousands of years when they sold a tea packer to Japan. Until then, tea, the national drink of Japan, had been packed in small, round wooded boxes but the new pack was of the type familiar to tea drinkers in Britain. In 1980 and 1981, Rose Forgrove obtained 3 large orders, totalling over £15m, for tea packing machinery for Russia. 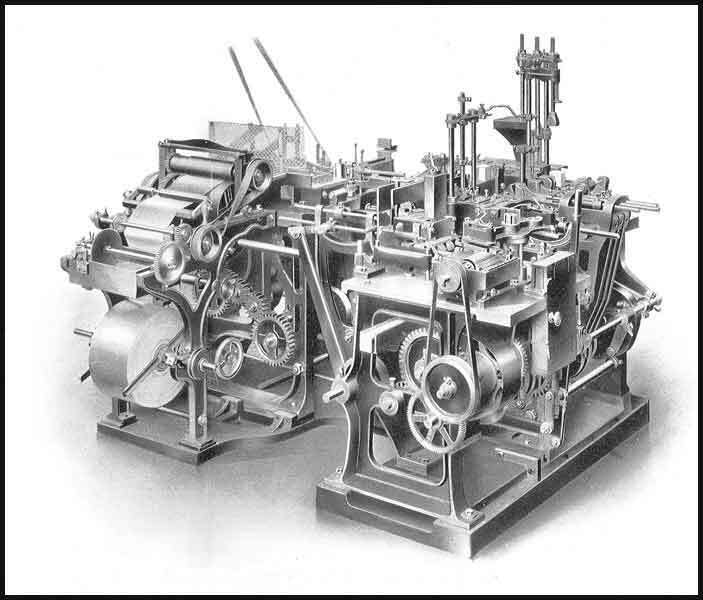 These LC150 machines were developments the original Job Day machines, 18 of which were also supplied to Russia by Job Day in 1907. (See also Rose Brothers (Gainsborough) Ltd, and Rose Forgrove Ltd.